SEOUL, March 25 (Yonhap) -- Another local proxy adviser said Monday it backs Hanjin KAL Co's proposal to keep the current chief of Hanjin KAL Co. in the boardroom raising the prospect that the incumbent president will maintain control of the holding company of South Korea's largest air carrier. Sustinvest said it recommends that shareholders of Hanjin KAL approve the reappointment of Suk Tae-soo as a company board member. The recommendation is expected to raise the chances of Suk remaining at his post despite a motion by a local activist fund that called for his sacking at a shareholder meeting slated this week. 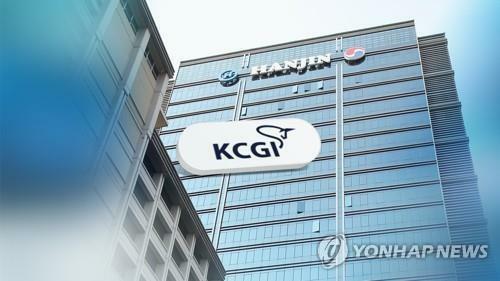 On Sunday, the Korea Corporate Governance Service (KCGS), the main proxy adviser for the National Pension Service (NPS), also said the country's biggest institutional investor is advised to back Hanin KAL's proposal. The decision is a harsh blow to the Korea Corporate Governance Improvement (KCGI) that forwarded the motions to sack Suk and other board members. Suk is a close aide to Hanjin Group Chairman Cho Yang-ho, who has been charged for allegedly engaging in breach of trust and embezzlement. Last week, Hanjin KAL also won a court disposition to exclude proposals made by the KCGI from being put to a vote at its upcoming shareholder meeting. KCGI's special purpose company, which has a 12.01 percent stake in Hanjin KAL, has claimed that its proposals are aimed at increasing transparency of the transportation and logistics conglomerate, which had taken flak for the inappropriate actions of Hanjin Group Chairman Cho and his family members. Hanjin KAL controls Korean Air Lines, budget carrier Jin Air Co. and several other companies engaged in logistics, accommodations and various other services.